A comprehensive eye examination at Holloway Eye Care & Optique begins with a thorough patient history. Our doctors know that eighty percent of eye conditions can be diagnosed from an accurate history. 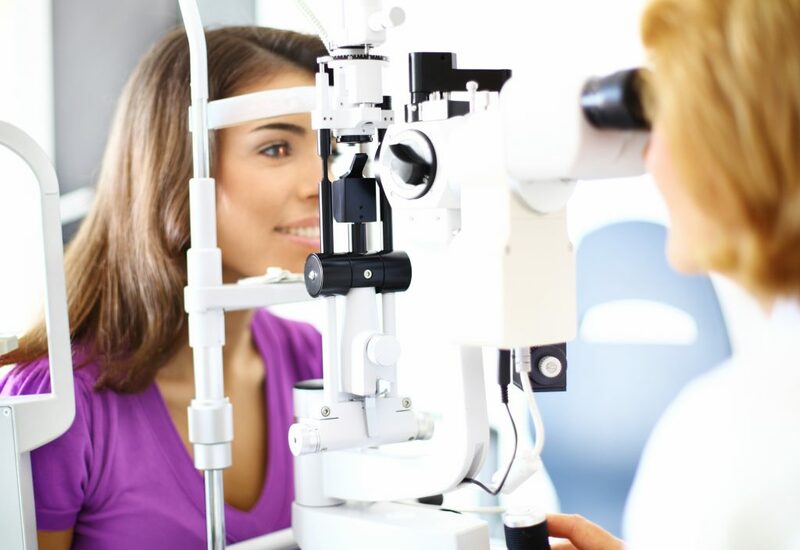 It is critical to share information about your general health conditions such as high blood pressure and diabetes as they can greatly impact your eyesight. It is also helpful to bring to your visit the following: your eye glasses, contact lenses, and a list of your medications. We see patients of all ages and tailor the vision testing accordingly. Creating a patient friendly experience is very important to us. Each test is introduced with a helpful explanation of its purpose and the result is shared immediately. We perform tests for eye diseases such as glaucoma and cataracts. Early detection and treatment of childhood vision issues (such as lazy eye) is a priority. We are happy to work with your family physician, pediatrician or specialist to coordinate your care. You are a key player in helping to ensure your future eye health. Motor vehicle vision certification forms as well as vision reports for schools are gladly completed for you. We offer convenient appointment scheduling and follow-up care. Patients tell us every day that they enjoyed their eye exam and learned something new! At Holloway Eye Care & Optique, you will never “feel like a number”. Come visit us today and Experience Distinction in total eye care for you, your family, and friends. YOU are truly our FOCUS! !